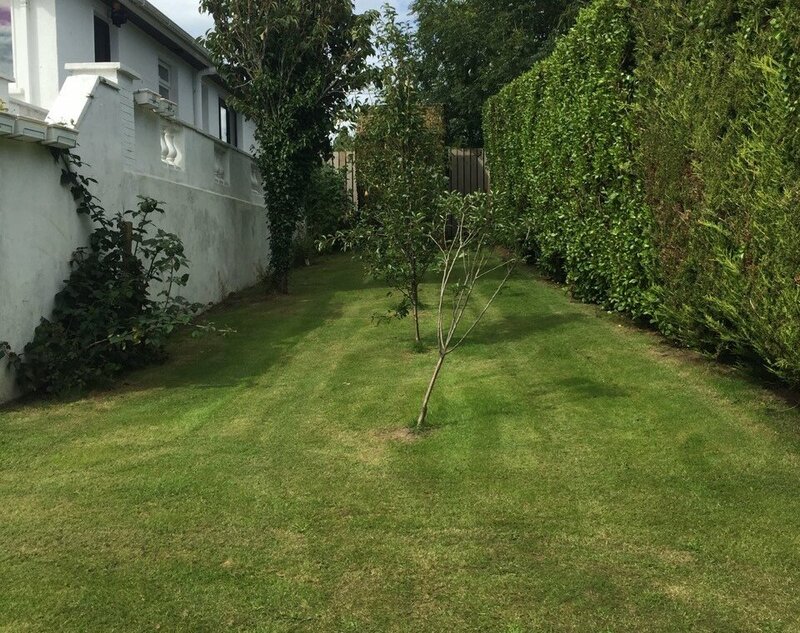 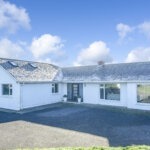 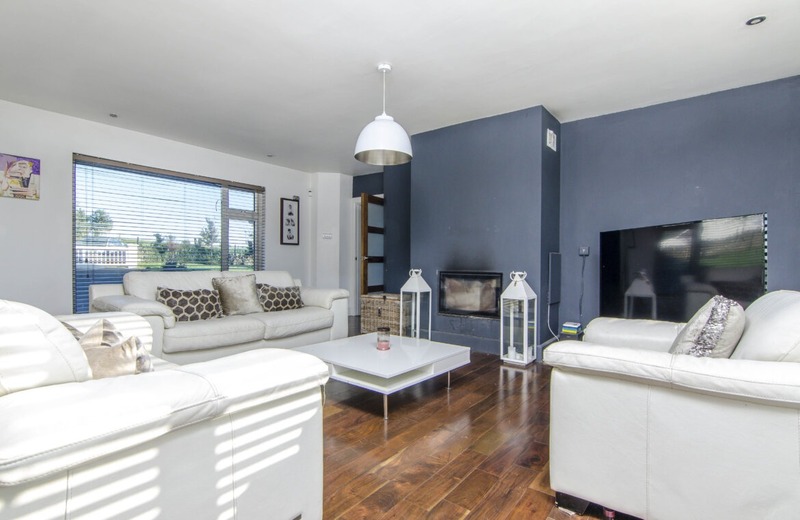 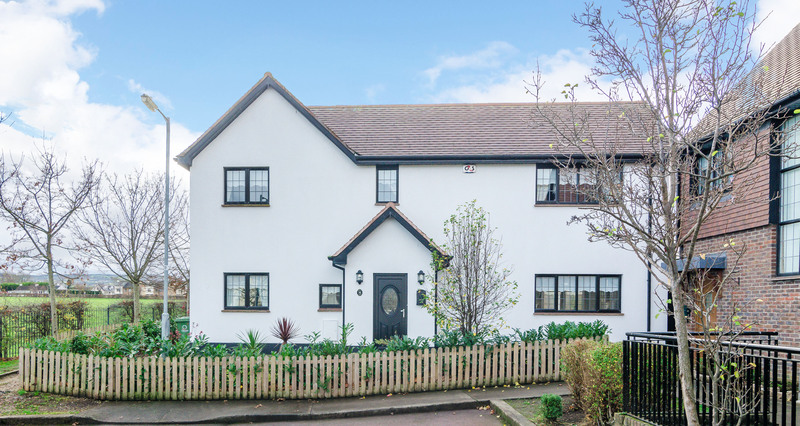 KELLY ESTATES and LETTING AGENTS are pleased to offer “Hilltop” a 6 bedroom 2 bathroom detached house to the market, set in a wonderful & tranquil location, this luxurious six bed detached property, oozes style and taste throughout and has been kept in excellent condition by its present owners. 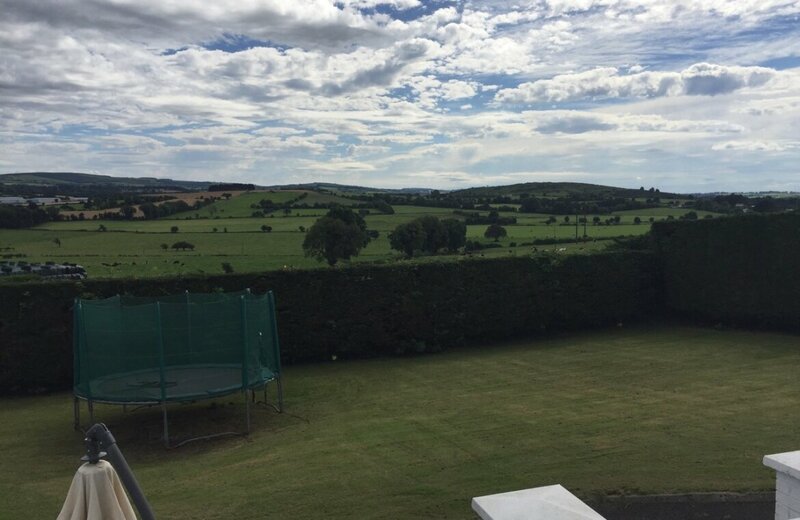 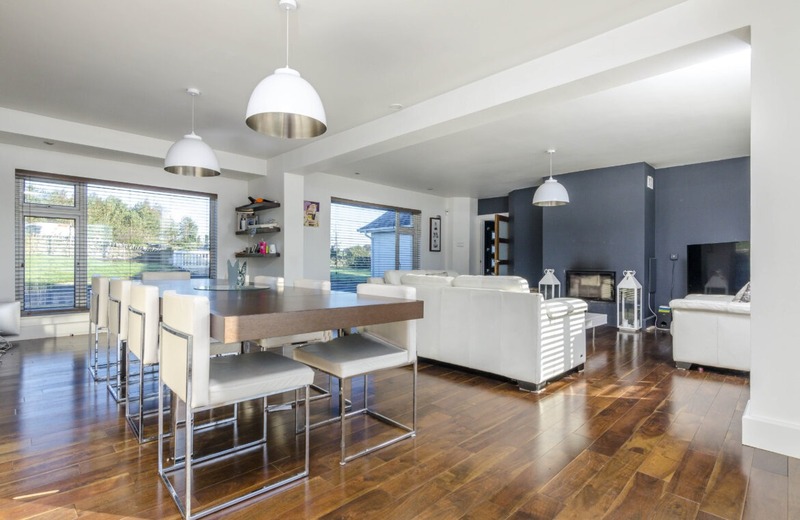 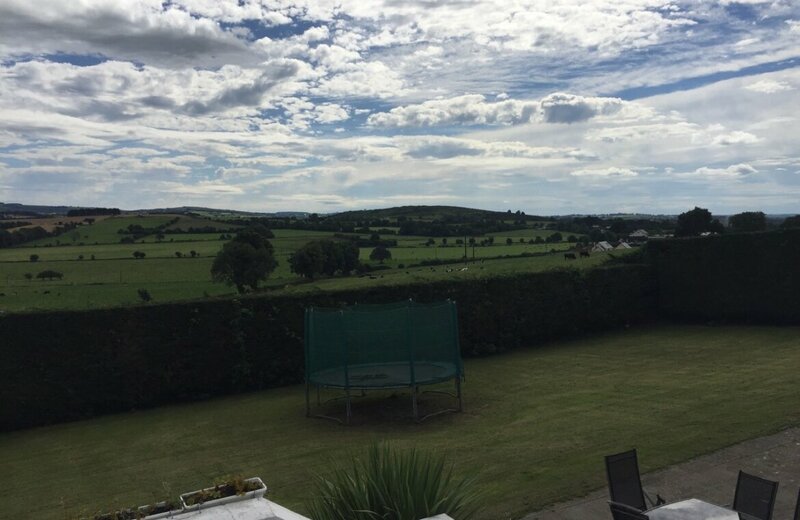 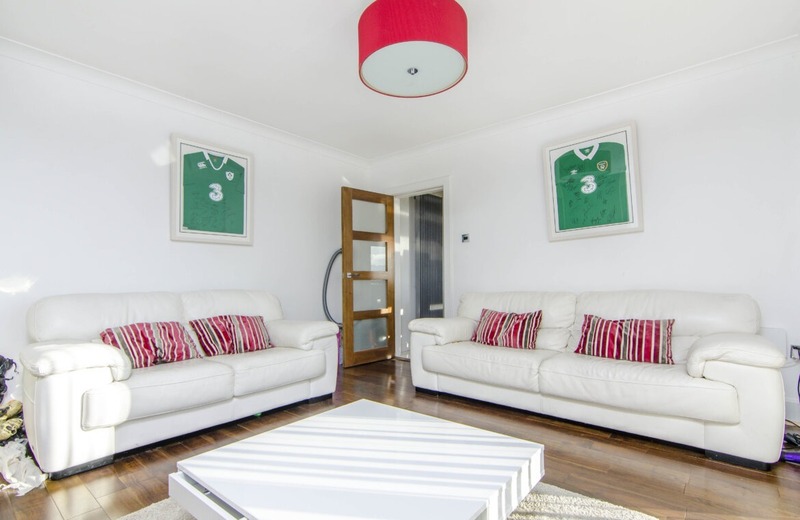 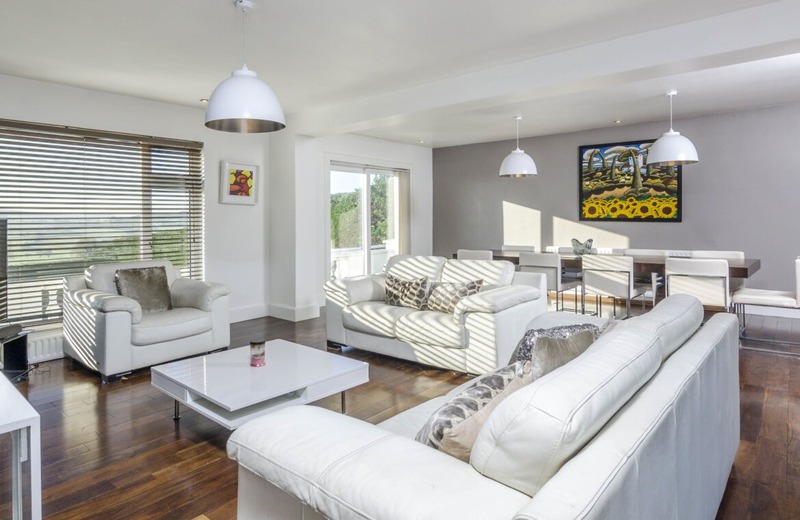 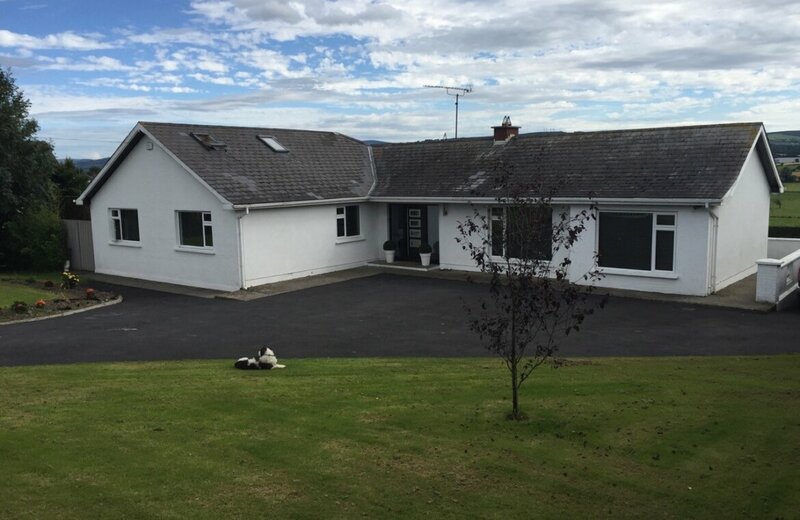 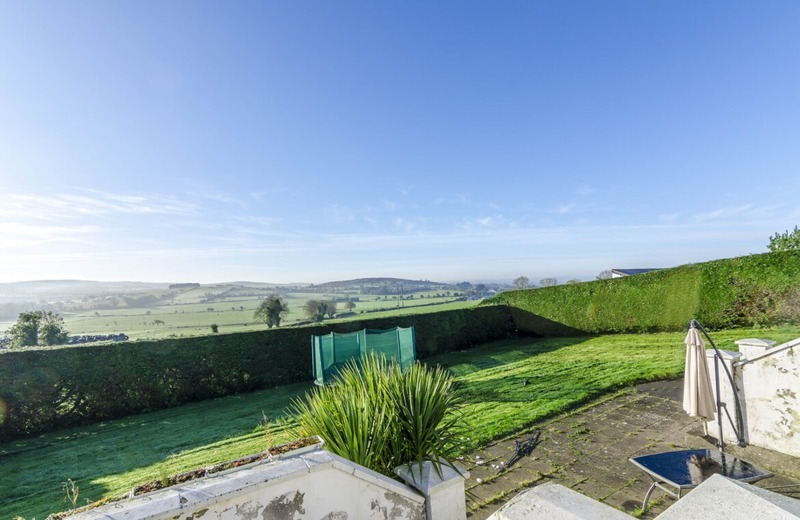 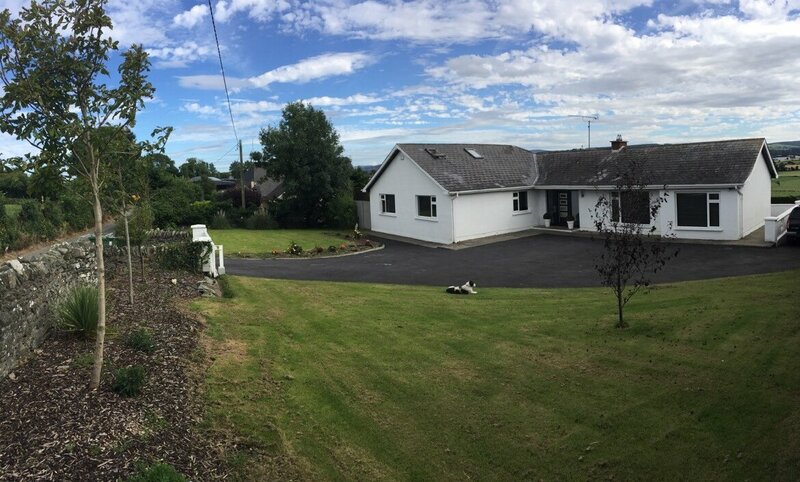 The House sits near the top of Athgoe Hill with exceptional uninterrupted panoramic views over Dublin and Kildare. 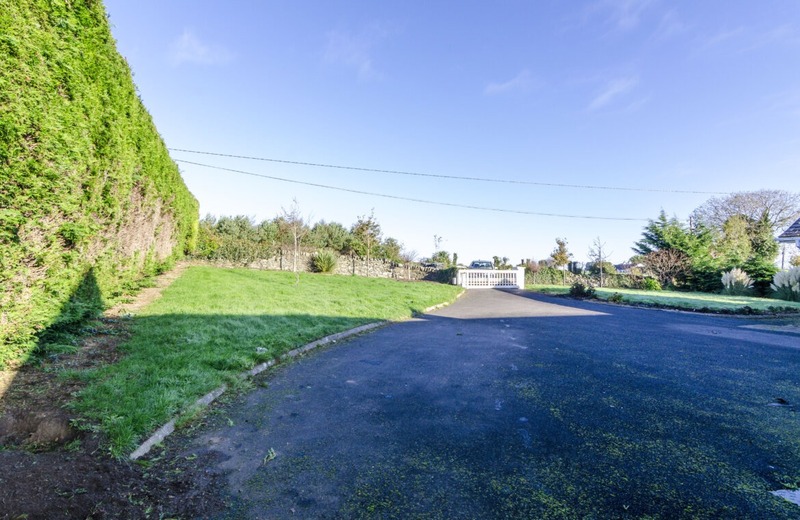 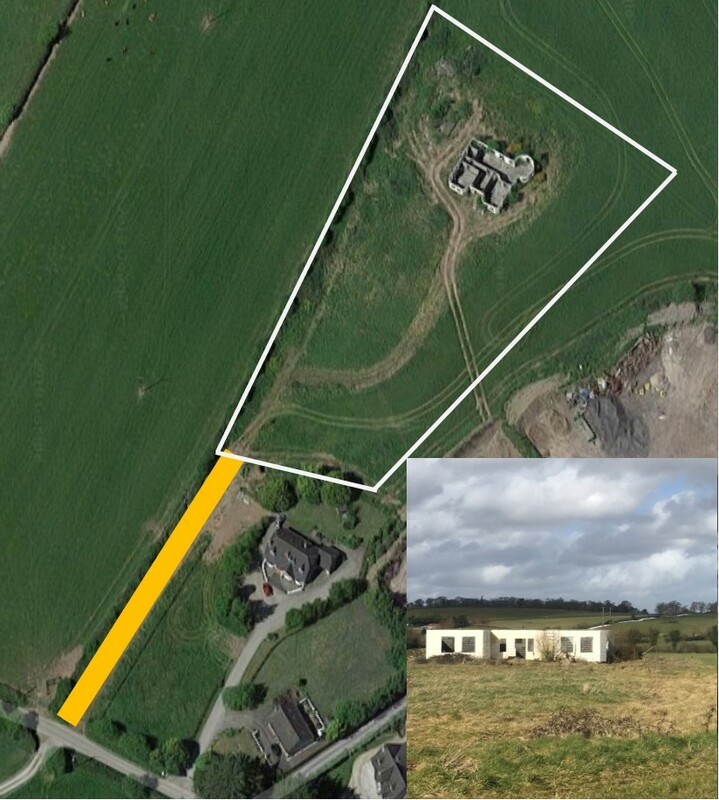 This property is perfect for those aspiring to a quiet country life but don’t want to be to far from the city. This home is deceivingly spacious with absolutely wonderful living space. 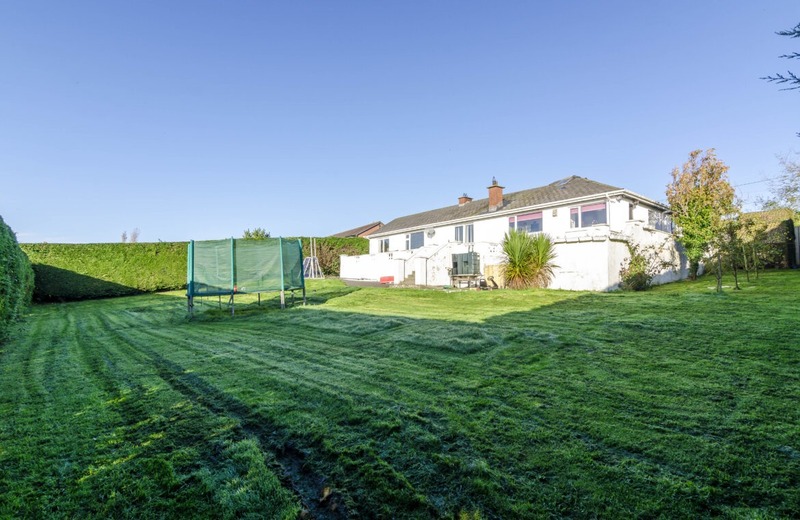 It is in excellent condition throughout. 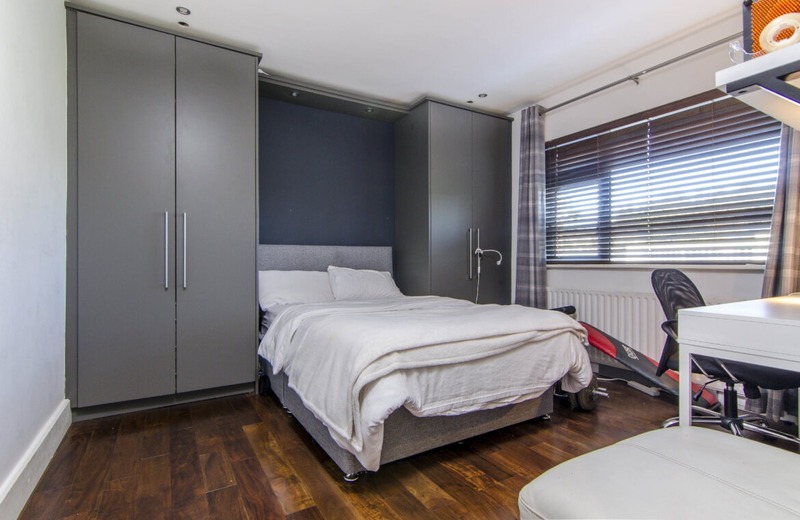 For those just looking for something a little more unique and bespoke, look no further. 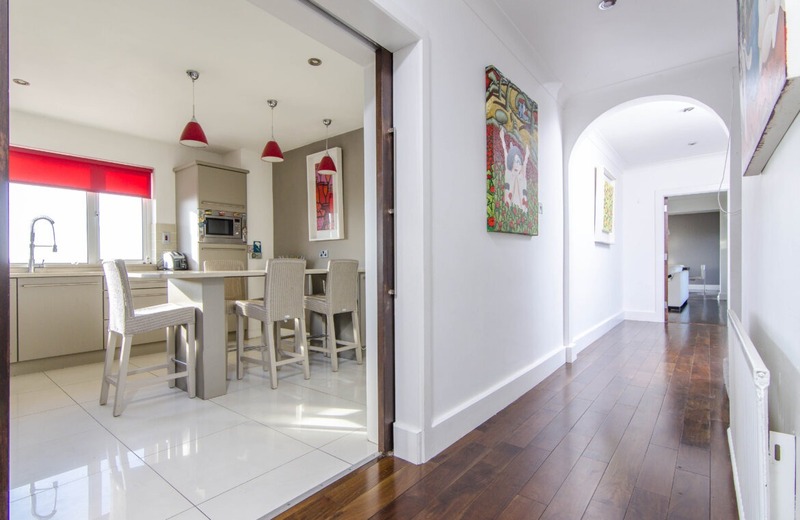 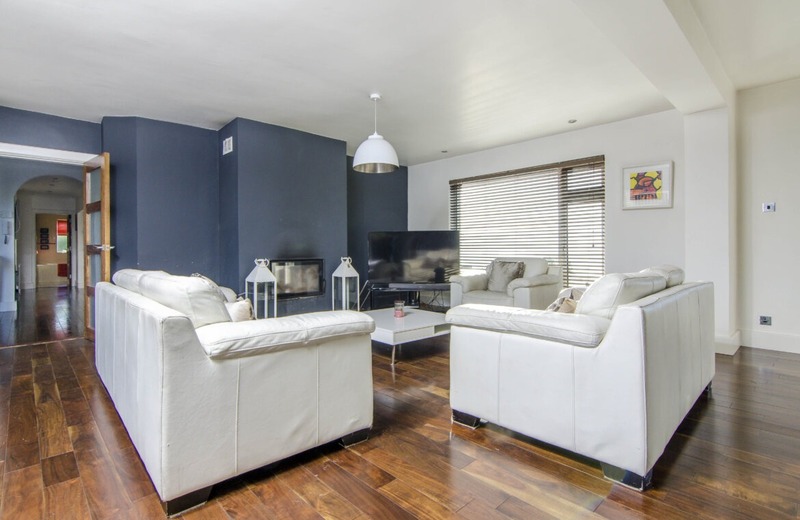 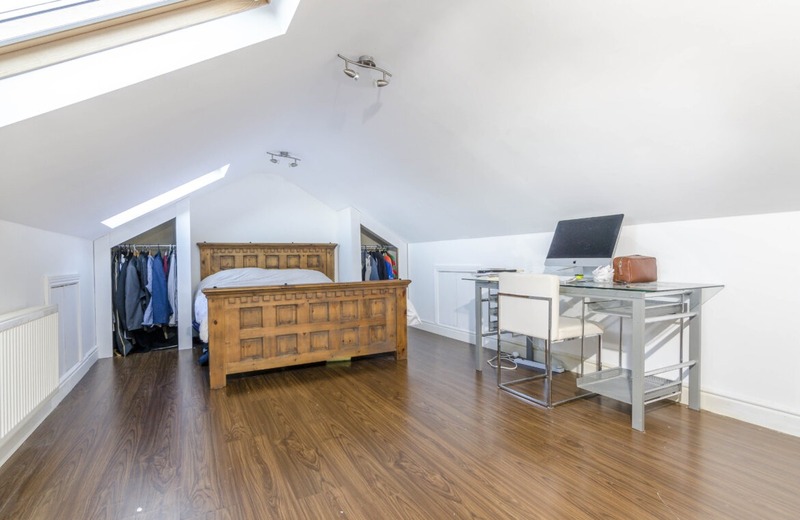 Presented to a beautiful standard throughout with high quality fixtures and fittings, arranged over 2 floors the accommodation extends to c. 2,368ft2 and includes a large 5th & 6th bedroom in the Attic conversion. 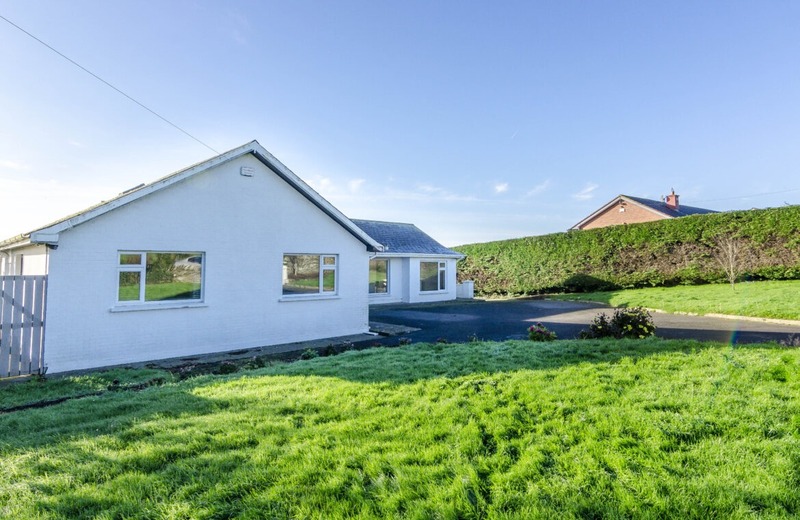 Internally the property is most appealing. 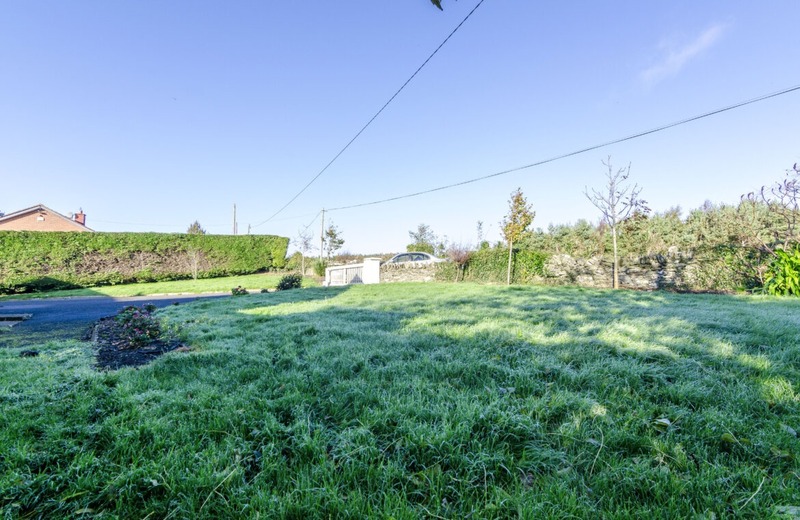 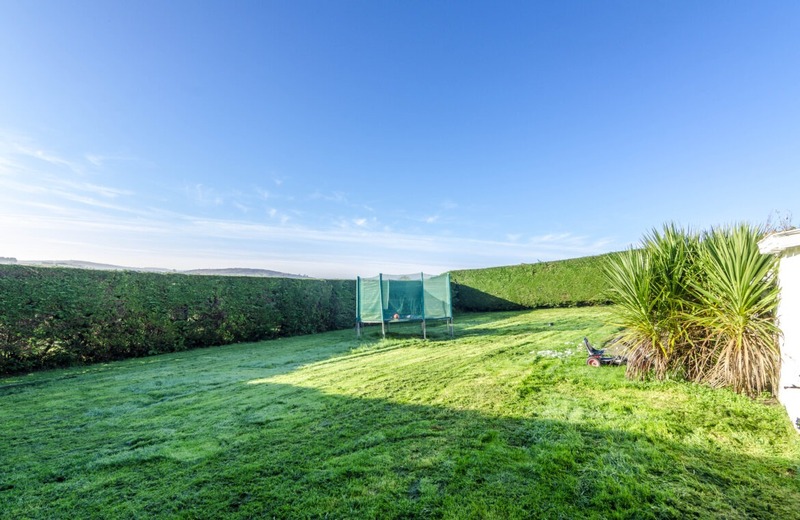 If you are looking for a house that is ready to walk into, has a peaceful setting with great views then look no further. 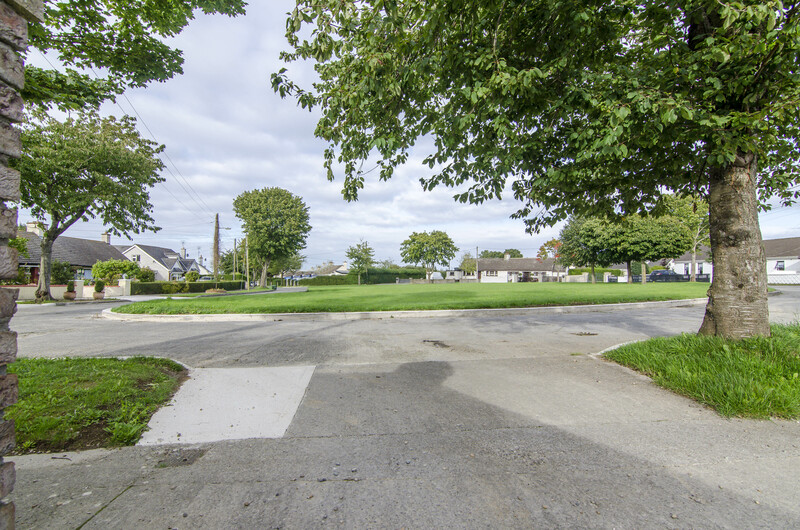 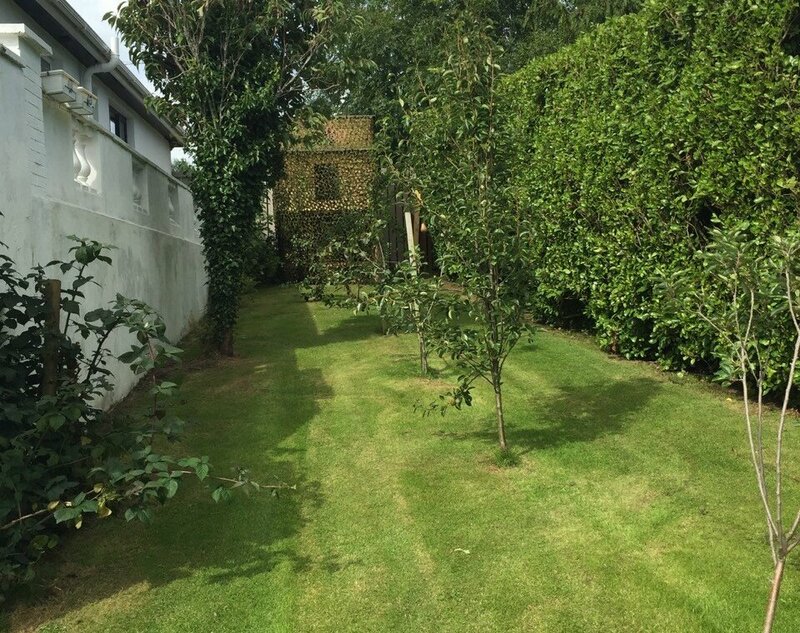 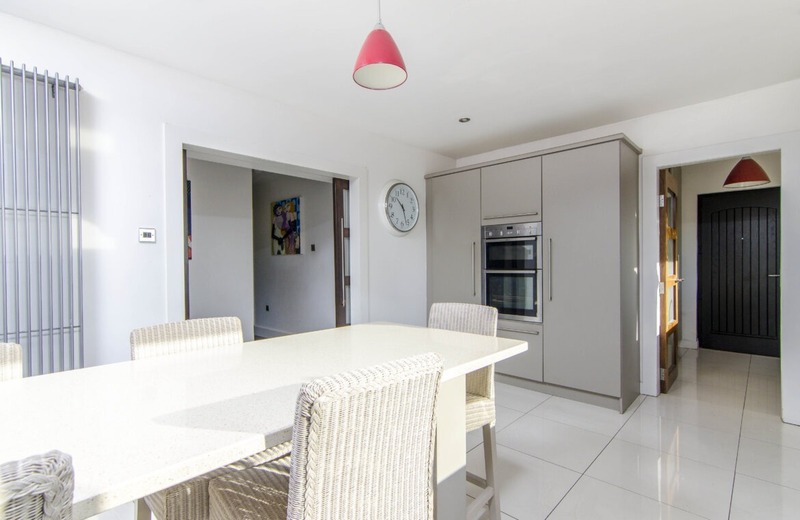 Newcastle village is a short five minute drive away to the local school, church, shops, and local amenities. 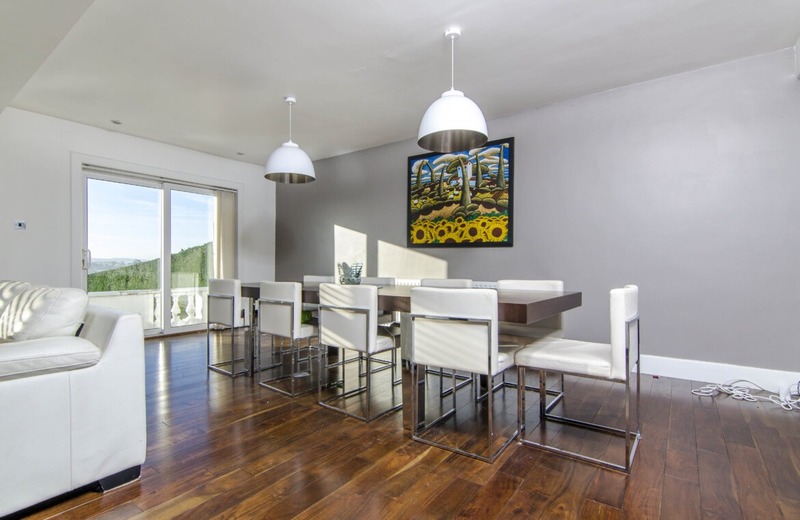 Living Room/ Dining Room: (7.85m x 6.51m), Oak floors, patio door to rear, picture window overlooking property. 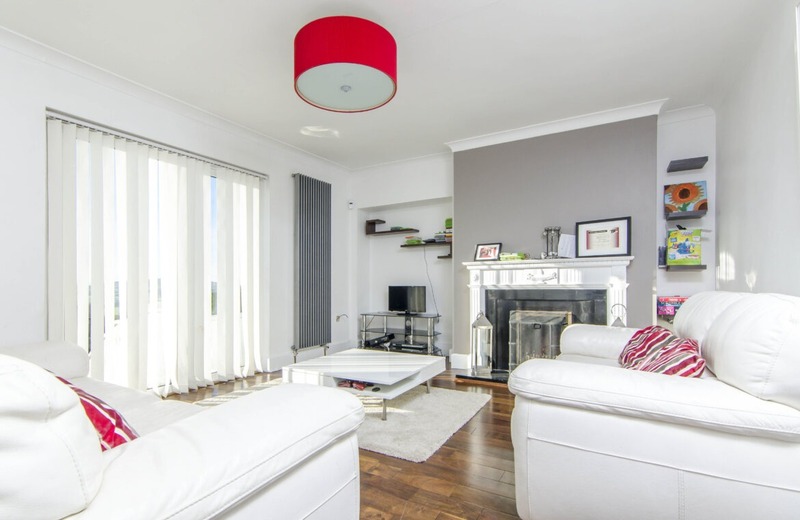 Sitting Room: (4.68m x 3.99m) oak floors, large wall radiator, white & black marble feature fireplace. 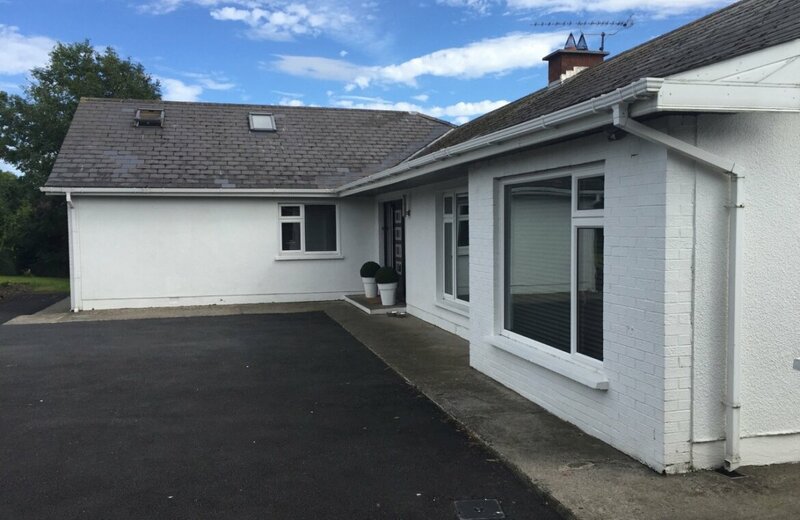 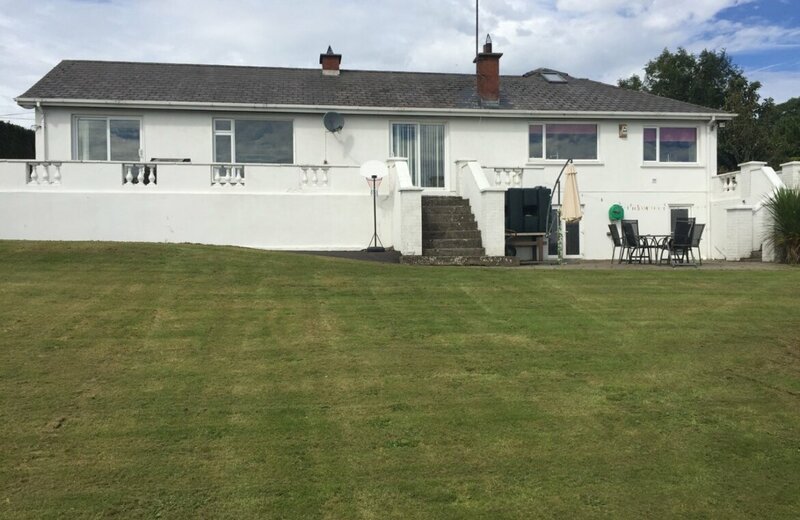 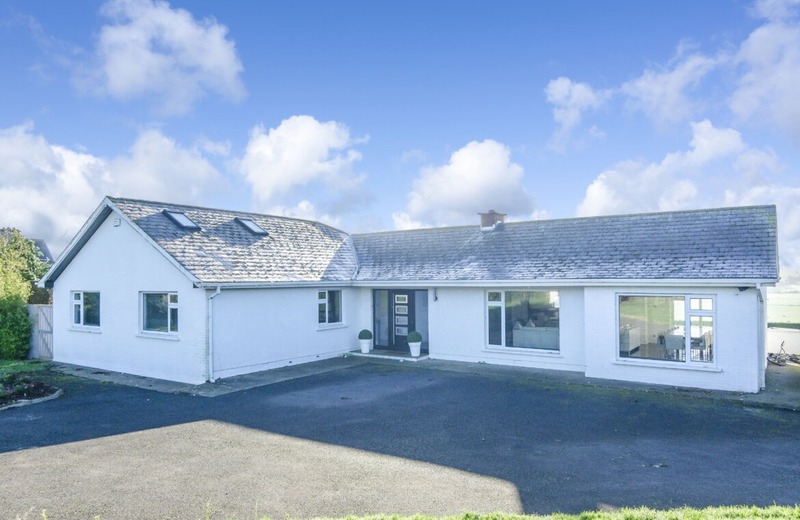 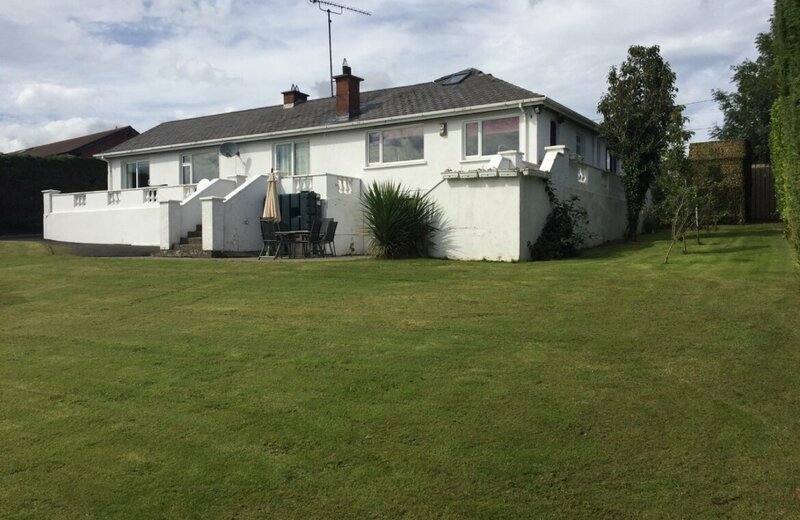 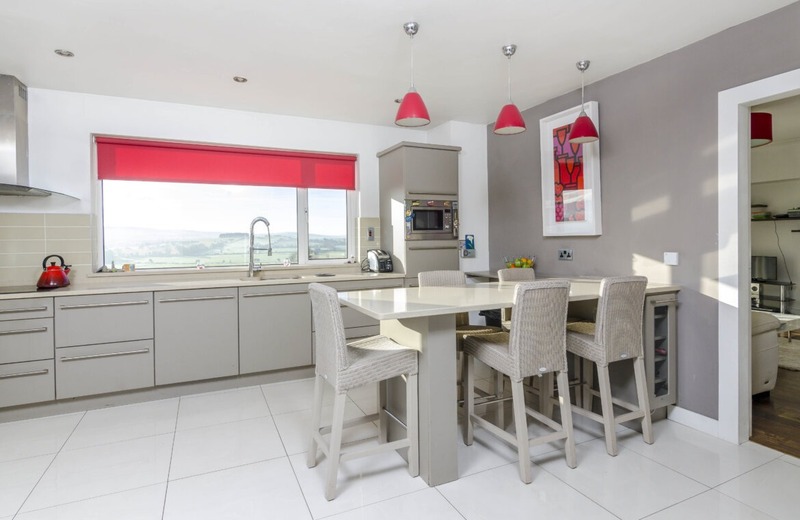 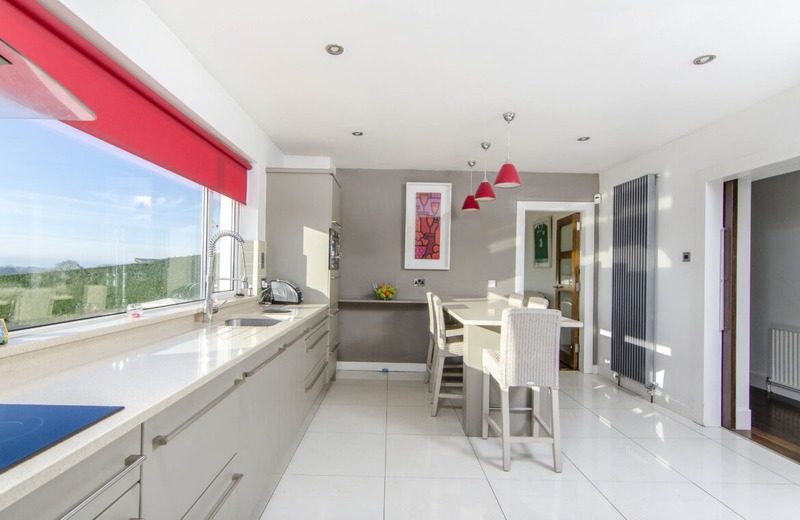 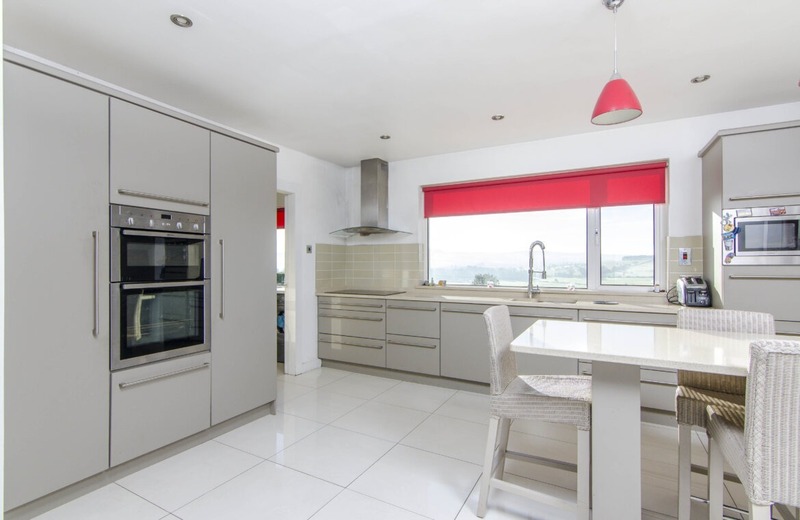 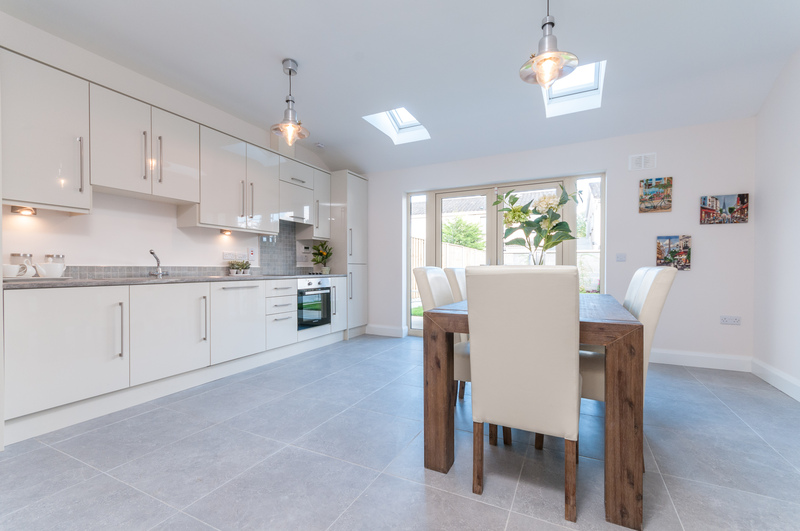 Kitchen:(4.72m x 3.99m) Modern fitted kitchen with ample fitted units, stainless steel sink unit, oven, hob, fridge freezer, dish washer, washing machine , tiled splashback and tiled floor, large wall radiator & picture window overlooking stunning views. 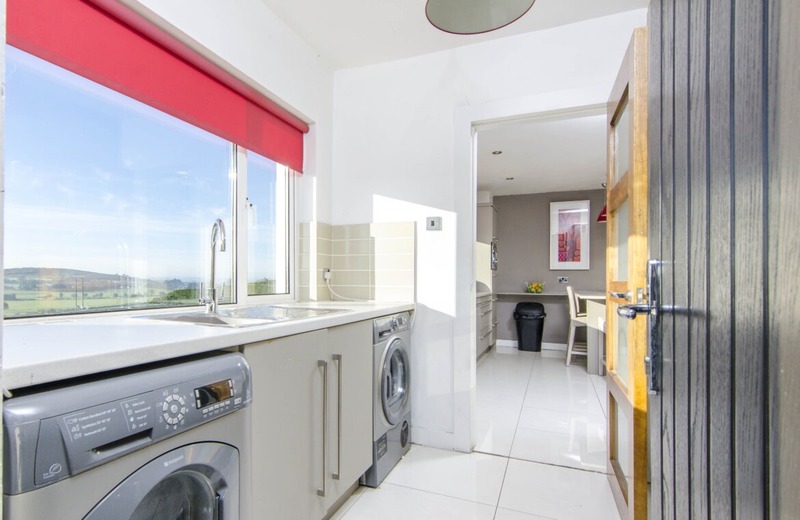 Utility Room: (2.5m x 2.41m), tiled floor, door to rear, stainless steel sink unit & picture window. 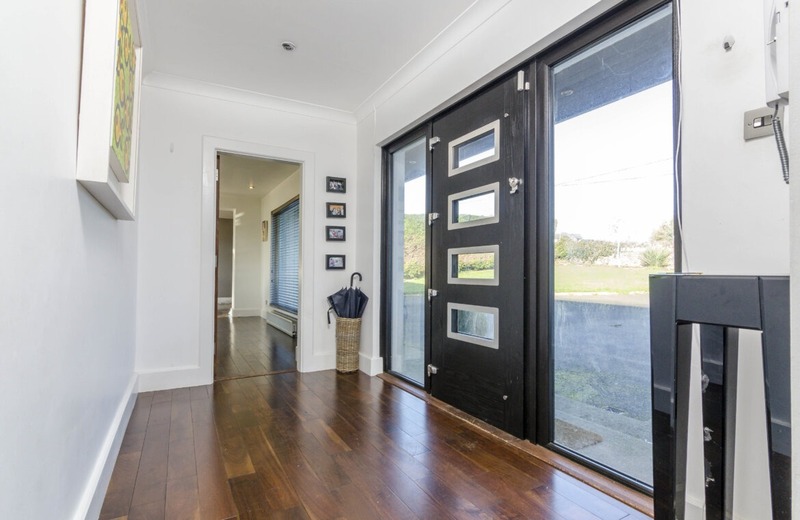 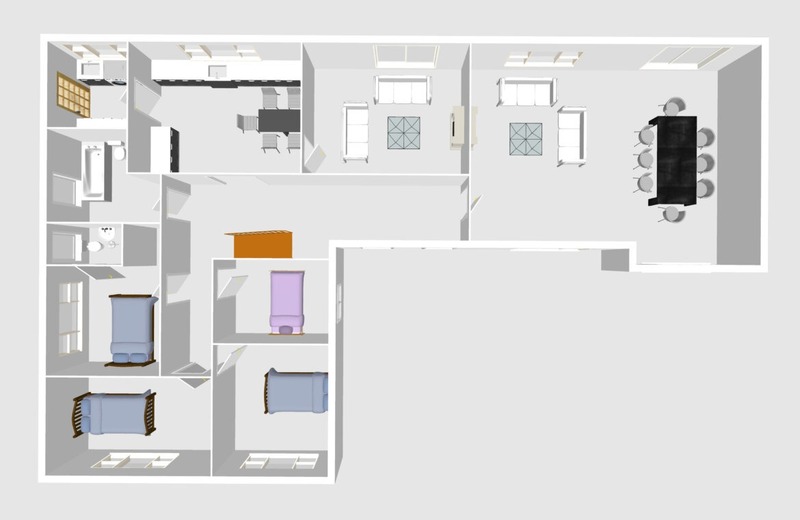 Hall: (5.64m x 8.05m), wood floor, hall door, doors leading to all bedrooms. 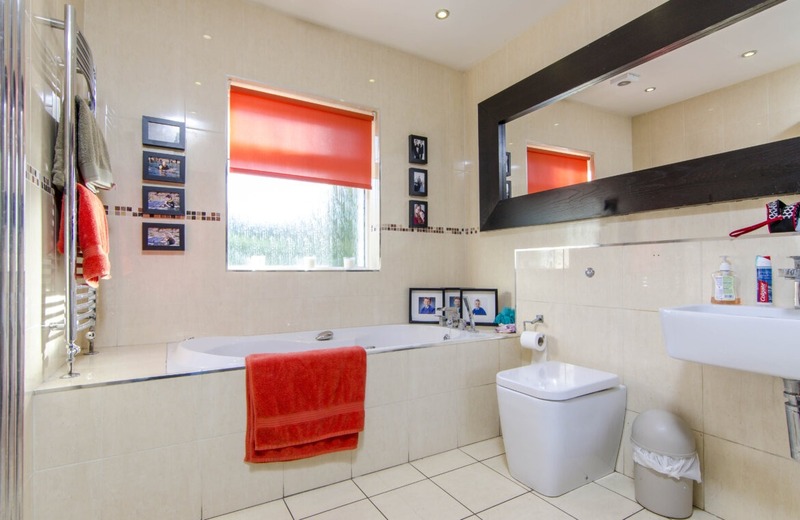 Main Bathroom: (2.54m x 3.12m), fully tiled walls & floor, w.c, wash hand basin, bath unit & recessed lighting. 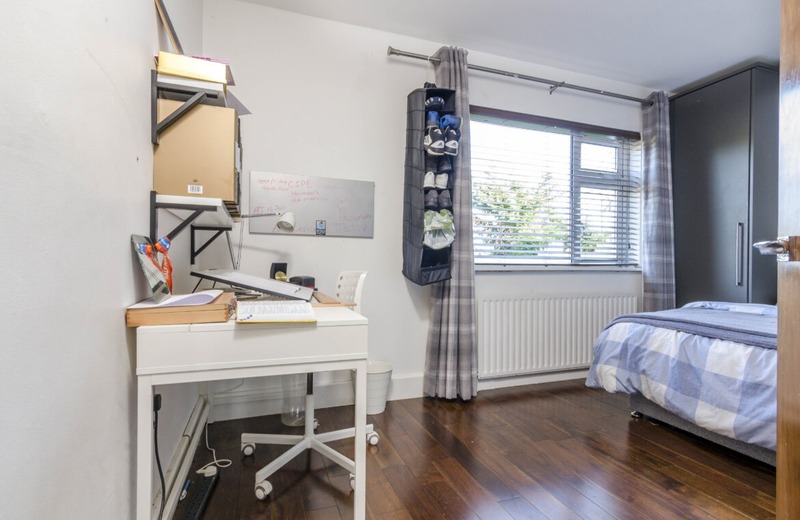 Bedroom 1:(3.12m x 4.21m) double room, wood floor, built in wardrobes. 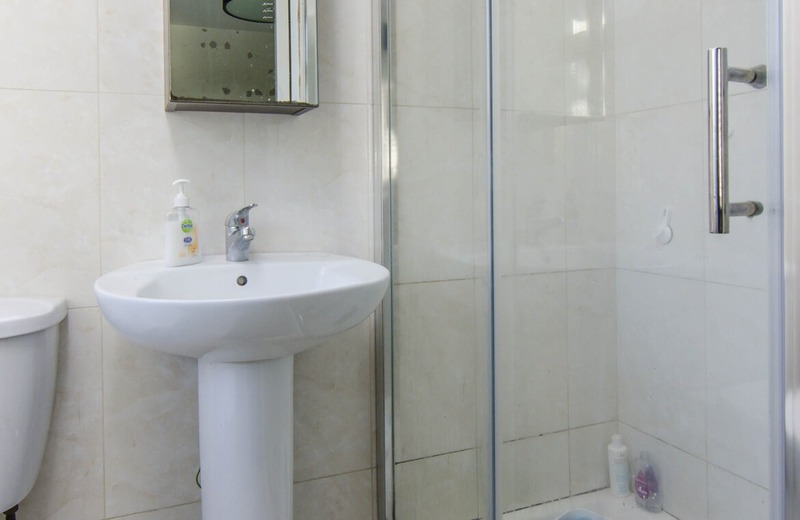 Ensuite: (1.11m x 2.10m) tiled floor & walls, w.c, wash hand basin, shower cubicle. 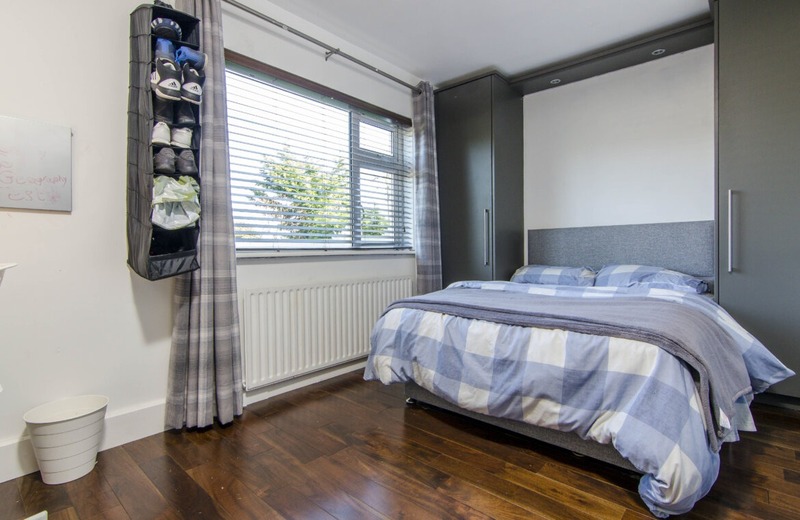 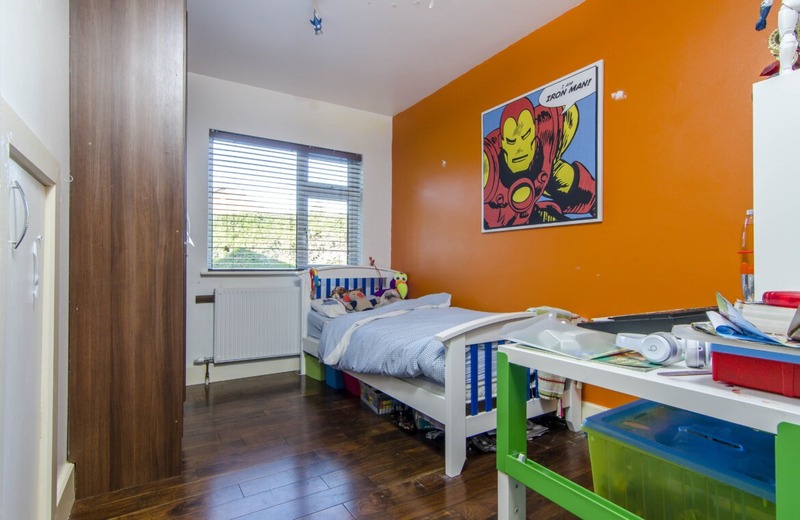 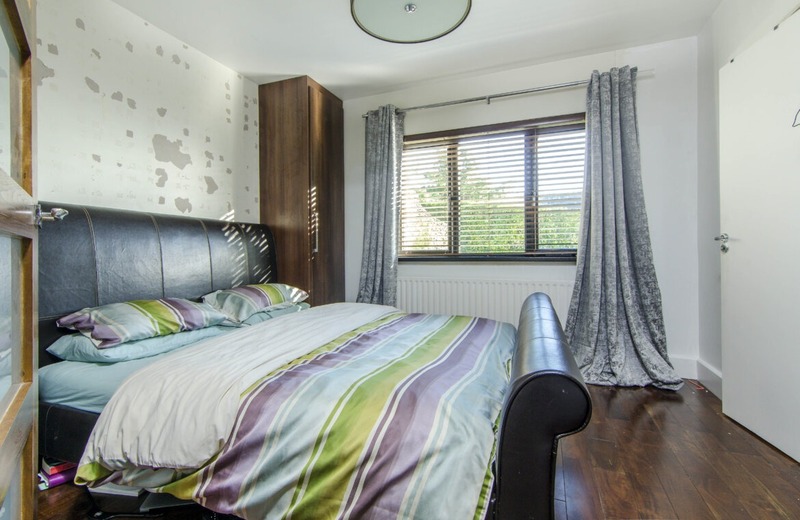 Bedroom 2: (2.7m x 4.61m) double room with built in wardrobes & oak wood flooring. 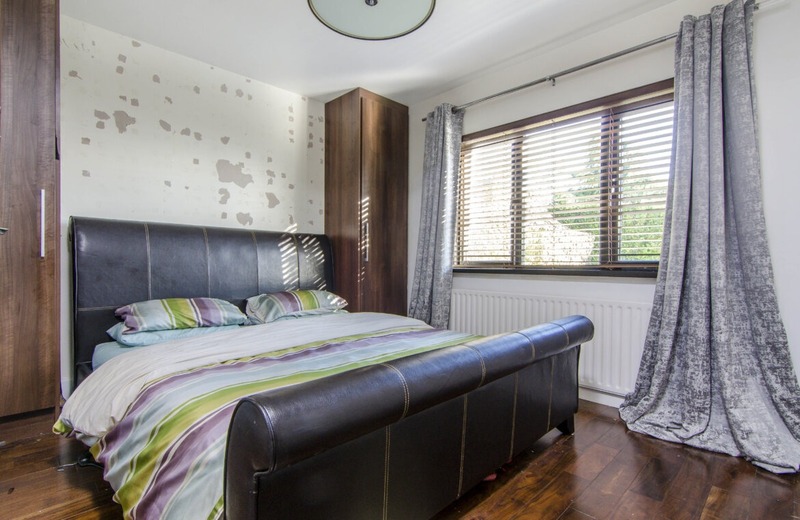 Bedroom 3: (3.37m x 3.70m) double room with built in wardrobes & oak wood flooring. 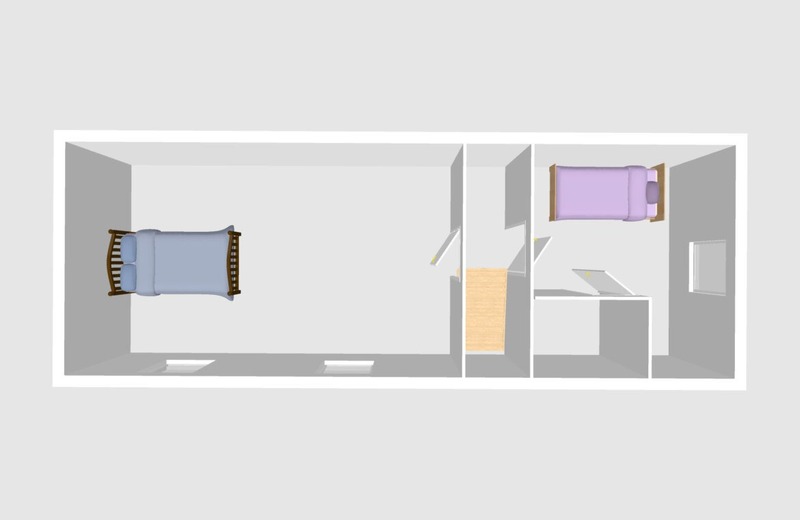 Bedroom 4: (2.49m x 3.37m) a neat room with built in wardrobes. 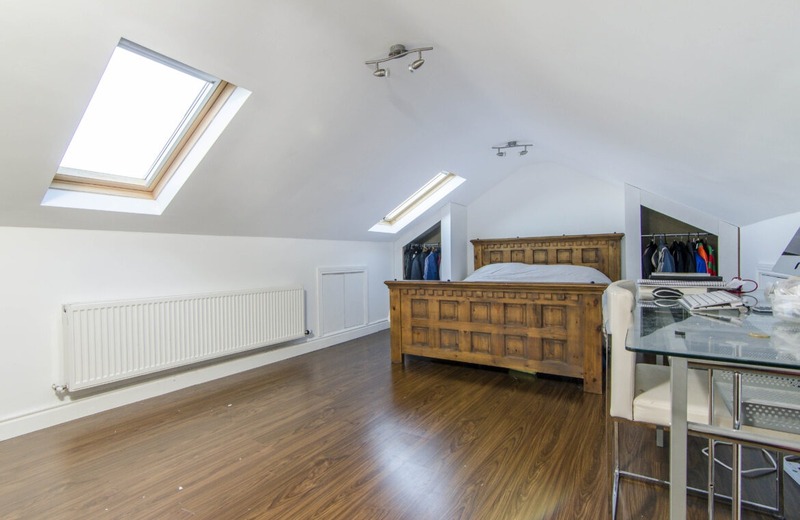 Bedroom 5:(3.0m x 3.52m) a neat double room with wood floor and velux window. 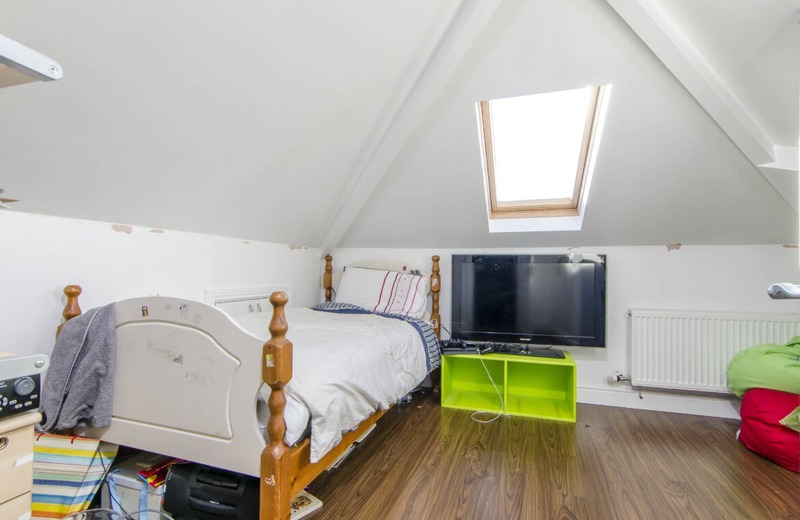 Bedroom 6:(3.52m 6.21m) a large double room, with oak wood floor, storage & two velux windows, plenty of light.